This weekend saw record numbers of visitors to the wildly popular Isle of Man Food & Drink Festival - and also the crowning of a new National Dish! After four months of voting, the Isle of Man has named a new national dish- Manx Queenies! These delicate Manx molluscs took home the grand prize with nearly a quarter of all votes. The Manx Queenie is a medium sized scallop, farmed in the Irish Sea. These delicacies are light, buttery, and succulent and can be found in many of the restaurants around the Island. Traditionally served in a white or cream sauce, Manx Queenies are a staple in most eateries (and for good reason!). A public vote commenced in May 2018 and over 2,500 people had their voices heard for their favourite Manx munchies! The winner was announced last weekend at the 10th Annual Isle of Man Food and Drink Festival sponsored by PokerStars, Dave’s Delicious Dogs, Event Management Solutions, Magnet, Shoprite, Thai Thai Restaurant, and The Buchan School with 3 FM as media partner. 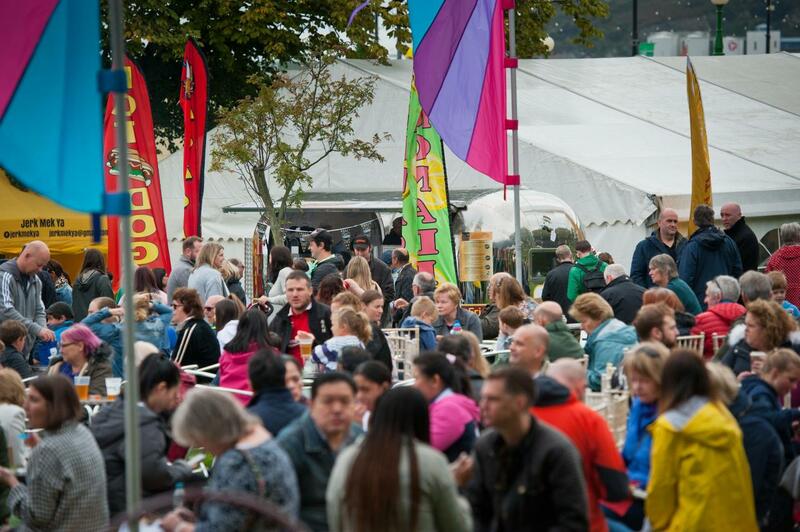 This year's Isle of Man Food & Drink Festival welcomed over 10,000 people through the gates, which is a new record attendance. Coming in a close second to the mighty Queenies was Chips, cheese and gravy. This dish is known around the world as many different things- Canadian Poutine, New Jersey Disco Fries- but here, this chip dish is decisively Manx Made! IOM Today was not at a loss for finding residents in full support of the Kipper- our long, tried and true- favourite fish. “My favourite Manx meal is a kipper bap. It’s the amalgamation of the ingredients that I like, with the juxtaposition of the salad against the fish.” - Laurence Crookall, aged 27. After the announcement, local chef, Tony Quirk whipped up a great recipe to the delight of festival goers. His recipe? Manx queenies, garlic, and bacon (of course!) The recipe was given out to all attendees and is available online at www.gov.im/food. The Manx cuisine is top notch and a debate this lively just solidifies it! Congratulations to our mighty Manx Queenies for their triumphant victory! Long live the Manx Queenie, the National Dish of the Isle of Man!